Renault Genuine Servicing is all about providing you with an enjoyable servicing experience. We not only provide you with the best quality service for your Renault, but also advice you can trust, convenience you can rely on, and value beyond just a great price. Not to mention, all parts fitted and labour performed at an authorised Renault dealership are backed by our 30,000kms or 12 month service (with exemption of Kangoo and Zoe, 15,000kms or 12 month se). You’ll also benefit from the expertise of Renault specialist technicians and use of Renault Genuine Parts. 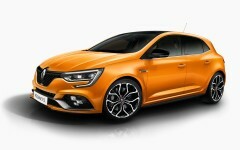 All of this adds to long term reliability, performance, and a preservation of resale value for your Renault. To book your next service with Renault New Zealand, please fill out the form below and a member of our customer service team will contact you to arrange your service.